Whether you write poetry, short fiction, novels, or some other branch of creative writing, you can benefit from consciously trying to improve your craft. Some of these tips are quick to implement while others may take some time and effort. Keep these ideas in mind to elevate your writing to the next level. You don't always have to write in the same physical location. When it comes to writing poetry, in particular, it's a good idea to move to a different environment. A new location brings new sensory experiences, different smells, and fresh sights and sounds. This can help to unleash your new ideas. 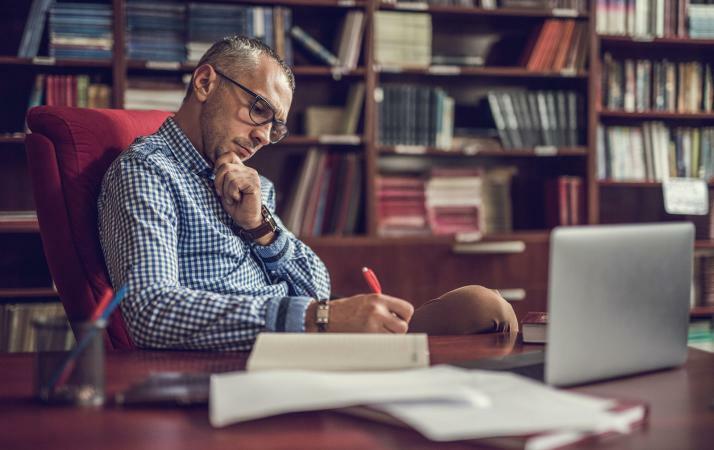 You've likely heard the old adage, "Writers write," but did you know that writing every day will boost your creativity and improve your work? It's not just about productivity. Studies indicate that doing something creative one day increases creativity and well-being the following day. Improving your writing is about putting one creative day after another. If you can't make time to write every single day, perform another creative task like painting, photography, or music. Your writing the next day will be better. A schedule is incredibly important to writing good work, but breaks matter too. According to Harvard Business Review, stepping away from your work for a few minutes and then coming back allows you to generate far more creative ideas. The same goes for switching between two projects. That little break lets your mind keep working on the project while you're doing other things, and it's a great way for you to take your writing to the next level. Along the same lines as changing location, you can also change what you write. This is a great creative writing idea to give yourself more inspiration and add new energy to your work. If you usually write novels, take a stab at some short fiction. If you often write poetry, try writing a play. The change in form will stretch the boundaries of what you ordinarily do and translate to higher quality writing. If you usually write short fiction or poetry and are trying your first long piece, don't just jump in with both feet. Start by creating an outline. You'd be surprised how easy it is to get off track if you don't have one, and a good outline will dramatically improve the end result. Especially for larger projects like novels, staying organized can be a real challenge that can reduce your productivity and writing quality. Writing software is designed to help you structure your work and keep character details straight. Some products even include timelines and other handy features. If you struggle with organization, you can let the software do the work and devote more of your energy toward actual writing. It's long been understood that reading a lot improves your writing. This isn't just about getting new ideas or examining story structure (although those have value too). It's also about critique. Don't assume that because something was published, it's automatically good. Really think about what works and does not work in a piece. You'll find that this act of dissecting and examining a piece translates to a marked improvement in your own work. Creative writing prompts are questions or ideas you can try to break through writer's block or simply re-energize your work. From poetry and short fiction to longer works like novels, plays, and memoirs, prompts can drastically improve your writing when you're feeling uninspired. Revising is a big deal, but you don't have to wait until you've finished a piece to revise something. Look at areas that don't seem to flow perfectly or where your mind wanders just a bit as you read. You know these parts of your work are not as effective as they could be. Take just one paragraph or one stanza and re-write it completely three or four times. You may not love your rewrites more than the original, but your best writing may lie in combining some elements from the different versions. Kurt Vonnegut divided writers into two styles: bashers and swoopers. Bashers slowly work through their pieces from start to finish, revising each sentence as they go. Swoopers move around, working on one section and then trying a different one. Neither approach is better than the other, but you can improve your writing by trying both. If you are a basher, try skipping to the conclusion and writing that first. If you are a swooper, experiment with starting at the beginning and proceeding from there. You don't have to try all these techniques to see improvement in your creative writing. Pick one to try today, and experiment with another tomorrow or next week. Improvement is mostly about continuing to put in the effort and the time. As long as you do that, your work will get better and better.